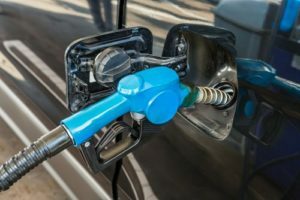 The Environmental Protection Agency (EPA) requires that all fuel sold within the United States contains a certain level of deposit-control additives. These additives prevent the dangerous buildup of deposits within a fuel system. As gas prices climb, drivers often attempt to save money at the pump by purchasing the least-expensive fuel. Certain types of fuel may meet the minimum federal standard but won’t provide sufficient protection for your engine and fuel systems. Even the best fuel can leave deposits on vital fuel system components. Fuel additives that work are an efficient way to save money and protect your vehicle. Deposits can lead to combustion problems and lower engine performance. Port fuel injectors have a microscopic orifice designed to deliver an atomized spray of fuel. When particles accumulate on this component, the spray pattern becomes irregular and the mist forms large droplets, which are harder to combust. In addition to a loss of fuel economy, the engine can hesitate, stall, and experience an overall decrease in performance. With direct fuel injection systems, the ports are inside the combustion chamber where the heat can bake the deposits onto fuel system components. This situation requires a higher strength detergent. Dirty direct fuel injectors may cause the engine to experience hot spots that result in pre-combustion and an increased compression ratio. Fuel additives contain one or more detergents that can clean these parts while helping to prevent new or additional accumulation. These detergents are formulated to remove deposits from intake valves, fuel injectors, and carburetors as well as other fuel system components. In addition to extra protection, these additives may be able to restore overall engine performance and help lower your carbon footprint. If the instructions on the label state that the product should be added with every fill-up, the detergent will generally be weaker than products whose dose rate has a longer interval between applications, such as with every oil change. Fuel additives that work on other areas of engine performance, in addition to removing deposits, may also contain additional ingredients besides detergents, such as lubricants and friction modifiers. You should verify that a particular formula is appropriate for use in your specific engine. Understanding formulas, the treatment rate, cleansing power, and other components will help you get the most for your money when selecting fuel additives that work to clean fuel systems and improve engine performance. There are several types of fuel additives that work in a variety of applications. Each product is designed to address specific problems. Read the label to determine the amount and type of cleaning agent in each brand of fuel additive. Gas Treatments contain polyisobutene or PIB. They are formulated to improve the quality of the gas that you use by ridding the fuel of harmful agents like carbon deposits and water that can dilute the fuel. These products are designed to improve fuel economy by increasing miles per gallon while also helping to prevent the fuel line from freezing. Gas treatments are typically the lowest priced additive and are added to the tank prior to filling up. Fuel injector cleaners contain polyisobutylene amine (PIBA). These formulas are a step up from gas treatments and offer additional benefits. These fuel additives are designed to remove clogs and other deposits from within an engine’s fuel injector, which helps restore performance to optimal levels. Fuel injector cleaners typically have a superior cleansing strength and last longer between applications when compared to gas treatments. Injector cleaners are added to the fuel tank at oil changes. Fuel system cleaners typically contain polyetheramine, or PEA, and are the top-of-the-line fuel additives. PEA is the strongest cleaning agent. It cleans and protects more parts than PIB or PIBA, especially direct fuel injectors. These cleansing agents are formulated to clear away clogs and other deposit buildups while restoring the entire fuel system to its original condition. These cleaners may be the only detergent capable of dealing with a severe problem. Add fuel system cleaners to the gas tank when you change your oil. Fuel begins to break down soon after it is pumped into your tank. As fuel degrades, gums, varnishes, and other deposits form that can clog fuel lines as well as stick to intake valves and carburetor jets. 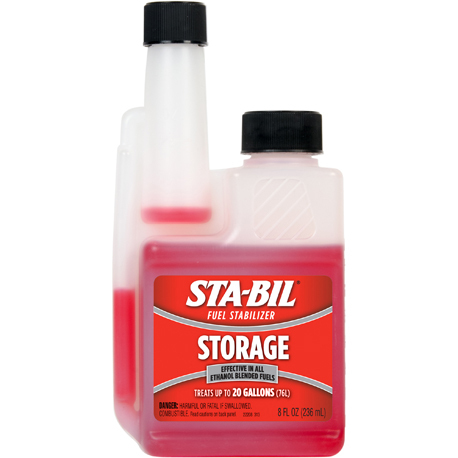 If you need to store fuel, use a fuel stabilizer to protect your fuel tank and system from corrosion. While they do not contain strong cleaning agents, octane boosters improve engine performance by increasing the octane level of the fuel while also cleaning the fuel intake system. Add octane boosters to the gas tank before filling up. Additives can help with numerous common problems. While they offer many benefits, do not overdo it. Using too much of a particular product can cause damage by ruining sensors and other engine controls. You should also choose an additive that is appropriate for your engine and fuel system. Remember to use additives in accordance with the instructions on their labels. When used correctly, fuel additives that work can help save you time, money and engine repairs in the long run. does Sta-bil 360 contain polyetheramine ? Hi Scott! No, STA-BIL® does not contain polyetheramine. If you have any other questions please contact consumer support at producttechsupport@goldeagle.com. 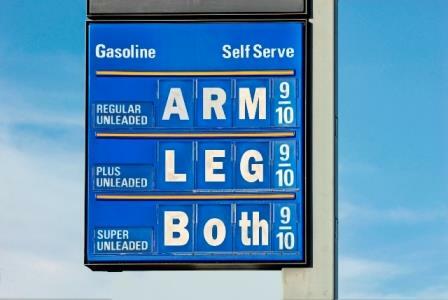 Fuel additives rule…esp. that the new GDI engines are carbon build-up nightmares; the intake valves never see the additive unless a vortex is swirling the cleaner around the open valve. So it seems to make sense to use the PEA cleaners and octane boosters more than the makers say. Carbon will kill the GDI engine and few owners really understand or even know they have a GDI engine in their prized ride. Octane Boost is also good with each fill up especially, like Gumout, it contains some PIBA. Techron seems to rule with high levels of the master: PEA. As an owner of a turbocharged GDI engine I hope the additive packages I am using are getting rid of and stopping the dreaded carbon accumulation that can happen. Let us face the facts that pump gas is not going to stop build-up with very little amounts of detergents. have you ever heard of a benzene based fuel additive that cleans and boost oxygen combustion by lowering the combustion temperature? They claim it can be used on most fuels, diesel, biomass. the result is improved fuel economy and less tail pipe emissions. Scotty Kilmer says Gumout has PEA.